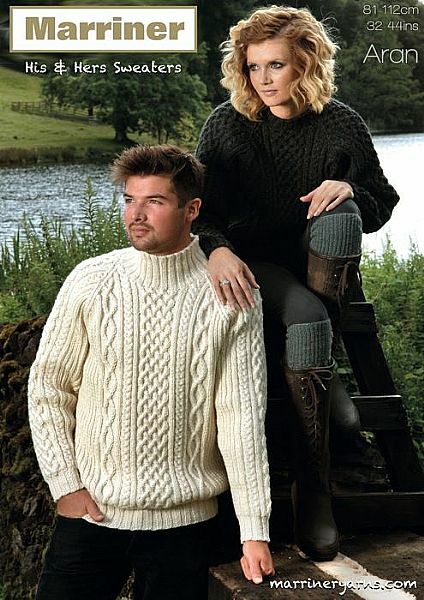 A timeless classic, this Aran Jumper Knitting Design has transcended generations with its enduring popularity. Knits best with Marriner Aran. Hooks required 2 - 33/4mm (UK 9 - USA 4) and 2 - 41/2mm (UK 7 - USA 7) Knitting Needles. Cable Needle.